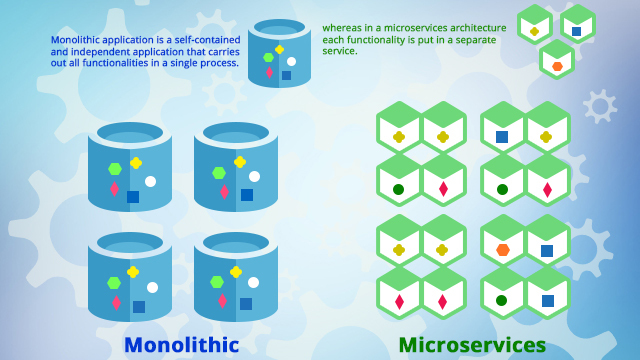 Microservices is an architectural style that structures application as the collection of loosely coupled services, which implement business capabilities. The microservice architecture enables the continuous delivery/deployment of large, complex applications. It also allows an organisation to evolve its technology stack. Microservices based architecture ends up having multiple instances of the same type of functionality to support scaling. The system knows how to manage that traffic, which can address through mediation and intelligent routing process. The platform should never force a particular programming model or language. It should be language-agnostic and deliver multichannel, multi-container capabilities. Every platform standardised to decouple security from the microservice implementation.The platform should provide capabilities for certificate management, support for different styles of credentials and authentication and authorisation leveraging a role-based access control model.